2004 Dodge Dakota - I was depressed because my car was falling apart, I went to Solutions Auto Group. They gave me a down payment that I could afford, now I feel like I can breath. 2012 Chrylser 200 - I felt pretty comfortable with where I was going, I heard good things about Solutions. They told me everything I needed to know about the car. I felt like a priority customer. 2008 Dodge Ram - I was not sure I was going to find the right truck. Solutions Auto Group explained everything to me that I asked about. I feel happy and complete. 2005 Mercury Mariner - I felt well taken car of and treated like I mattered! They helped me get into a nice car. 2009 Mitsubishi Gallant - I was unsure if I could get my daughter a car, and worried about down payment. They made it easy to come up with the down, and made it affordable. 2006 Dodge Charger - I was happy that Solutions Auto Group gave me a car and making us happy. 200 Chevy Imapala - I was unsure due to a friend getting a car and had major repair happen. They explained the program to me and made sure I understood everything. 2006 Isuzu Ascender - Before going to Solutions Auto Group I felt worried about my decision, but they reassured me and made me feel more confident about my decision. 2006 Ford F150 - I was nervous about down payment and payment options. They helped me find a decent vehicle that I was looking for. 2005 Ford F150 - I was sad I didn't have a car. I was worried about which car I was going to get and I was able to get what I wanted. I wanted a pick up and that is what I got. They talked me through everything and I am real happy. 2008 Ford F150 - I was overwhelmed about buying a car and about down payment and monthly payments. I was relieved at how easy and fast things were at Solutions Auto Group. They helped and worked with us, they were very friendly and helped me find the right car. 2007 Ford Mustang - I was feeling angry about car lots before I visited Solutions Auto Group, and I was worried they wouldn't get me approved. I was able to get the car we wanted with no hassles! I am very happy. 2012 Ford Focus - I was very satisfied with how I was treated at Solutions Auto Group, and felt very good about everything. 2005 Jeep Liberty - I was confident I wouldn't get a vehicle. I was worried that Solutions might not have a vehicle that fits my criteria. They helped me find the right vehicle. I felt the car I got will work good for my family. 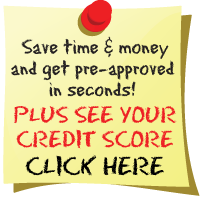 2008 Dodge Ram - I was nervous about buying a vehicle with my credit when I went to Solutions Auto Group. They were laid back and easy going! I was ready to get my car! 2007 Hyundai Tiburon - I was feeling depressed because I didn't have a car. I was carless! Solutions Auto Group was able to get me into a car, and I feel much better and excited! 2006 Ford Escape - I l liked the cars and trucks I saw on the lot, I was relaxed and happy and worried about nothing. They made me very comfortable. Mark was great! 2009 Ford Escape - I was over joyed, and exuberant, because Solutions Auto Group put me in a car! 2006 Isuzu Ascender - I was frustrated before I went to Solutions Auto Group. I was nervous about getting insurance, but Solutions Auto Group provided that! 2009 Nissan Sentra - I was frustrated with low credit score, and worried about monthly payments, and apprehensive about cost. Solutions Auto Group gave me the frank numbers and provided me a way out if needed ($495 get out clause).